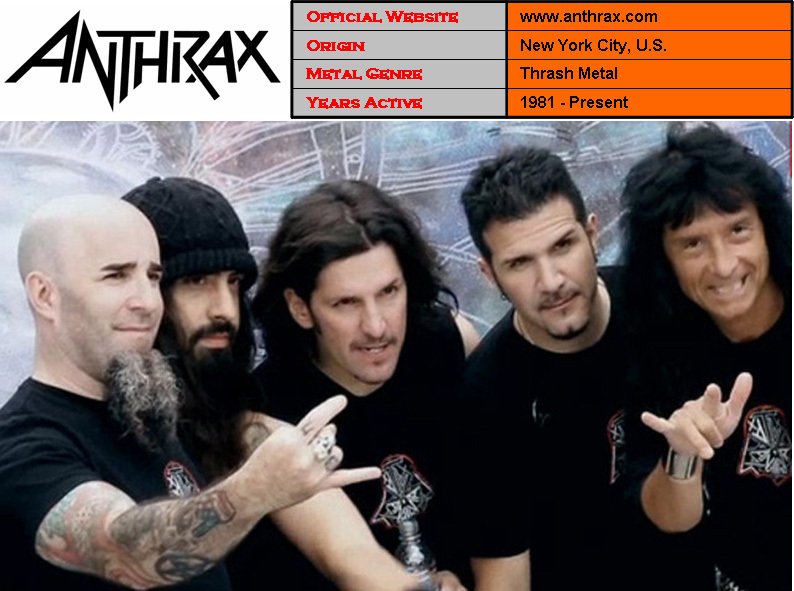 ﻿ Anthrax Archives - Thrash Metal | Speed Metal | Groove Metal | U.S.
Anthrax is an American thrash metal band from New York City, formed in Queens, New York in 1981 by guitarist Scott Ian and bassist Dan Lilker. The band was named after the disease of the same name which Ian saw in a biology textbook. The name was chosen because it sounded “sufficiently evil”. The group was considered one of the leaders of the thrash metal scene during the 1980s. 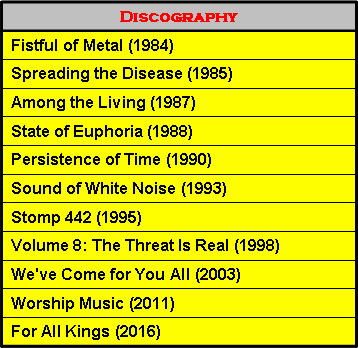 Of the “Big Four” thrash metal bands (the others being Metallica, Megadeth and Slayer), Anthrax were the only band from the East Coast. As of 2016, the band has released eleven studio albums, a number of singles and an EP with American hip hop group Public Enemy.